If you are interested in rafting, there are many places you can visit. However, if you want to enjoy an area that will constantly leave you guessing about what comes next, then you should give Costa Rica a chance to impress you. This is especially true for anyone who dares to go rafting in Pacuare River, Costa Rica. Why Choose the Pacuare River? 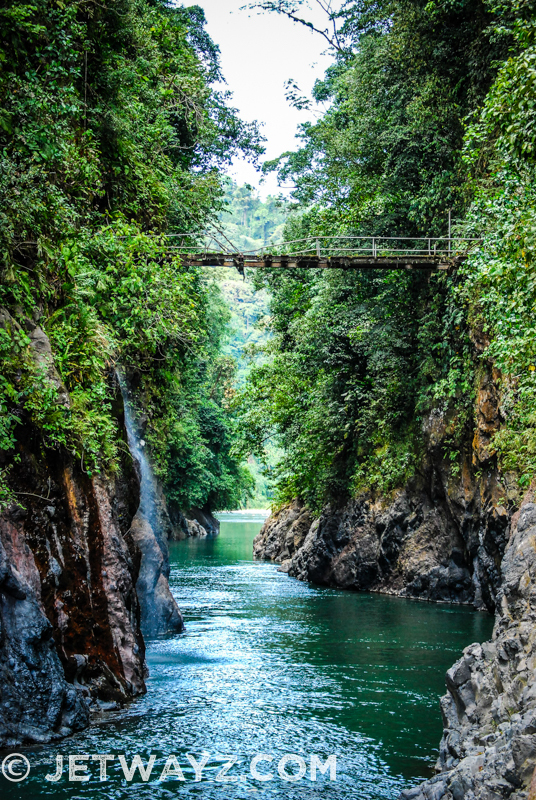 The Pacuare River (aka Rio Pacuare) is a river that runs through Costa Rica. It flows roughly 108km and finally ends up in the Caribbean. Throughout history, it has been a popular place for tourists and residents to experience extreme thrills while they go river boarding, whitewater kayaking, and even white water rafting. People may go there for the thrill of the river, but they walk away with so much more than a watery memory, because all along the river you will see the rainforest. When you are rafting or taking part of other adventures along the river, you also have the potential to see monkeys, ocelots, and jaguars as well as a number of birds. Despite the potential for a rafter to come upon some very rapid-like areas, this river has been given the title of being a great place for rafting beginners and people who want to practice rafting. Perhaps this is because the river itself is so easy to section off into areas that can be used for certain activities. In fact, there are about 16 unique sections of water where tours and various activities can be found. There are three main sections of the river. They include The Upper Upper, The Upper, and The Lower areas. Each area is unique and used for a variety of different things. For instance, the Upper Upper area of the river is best used for rafting and kayaking, the Upper section is mostly used for whitewater kayaking, and the Lower section is where the dangerous rapids are found. In the Lower section you will find waterfalls, whitewater river rapids, and several different drops that have unique class ratings for the skill that is required to take them on. It flows roughly 23 miles and during this stretch of river, it drops about 1200 feet. If rafting in Pacuare River, Costa Rica is something you think could be interesting, you should know that it is also an amazing nature trail. You can take an extended trip down the Lower Section of the river. This trip may last 3 days and while you are out, you can see various animals and other cool things along the bank. People have spotted sloths, iguanas, and raccoons, snakes of all types, butterflies, and even black panthers. If you want to see monkeys, there are various types along the banks, but if you want to see the Howler monkey, you may need to travel past the Dos Montanas canyon. 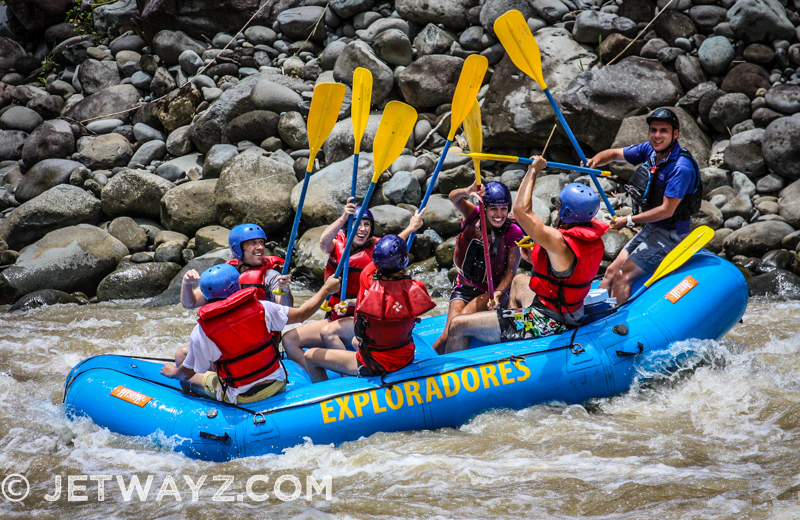 The coolest part about your trip rafting in Pacuare River of Costa Rica is that you are going to be seeing an untouched rainforest while you ride the river rapids. Most of the area’s forests along the river have never been touched by humans. This is a rare treat that goes way beyond most areas that people river raft in. 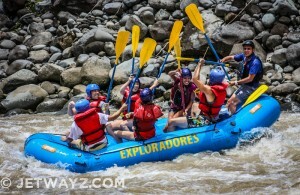 Are you ready to experience pure adrenaline filled rafting on the Pacuare River?